Paper Wars: Cannon Fodder Devastated is the refreshed, updated, remastered, and enhanced edition of the beloved Wii tower defense-like game! With updated graphics built from the ground up in Unity and a brand-new chapter where we've exchanged soldiers for zombies, it’s just better than ever! Prepare to face wave after wave of enemy soldiers and vehicles trying to cross the battlefield - don’t let them!!! Get in your tank, take control of the cannon, and wipe them out. Collect power-ups to call in an airstrike, use a special triple-shot skill, or slow time, well, to slow time! Simple and effective. Just be careful not to blow up the power-ups. Friendly fire, soldier! Friendly fire!!! Honestly, Paper Wars is not a bad game by any means. It’s very calming to play, despite it’s war theme and stressful genre. But I found myself getting through the content very quickly, and enjoying it. I was not immersed by any means; usually playing while listening to something else in the background. Paper Wars certainly does suffer from a lack of originality. That might not be what it is going for though. 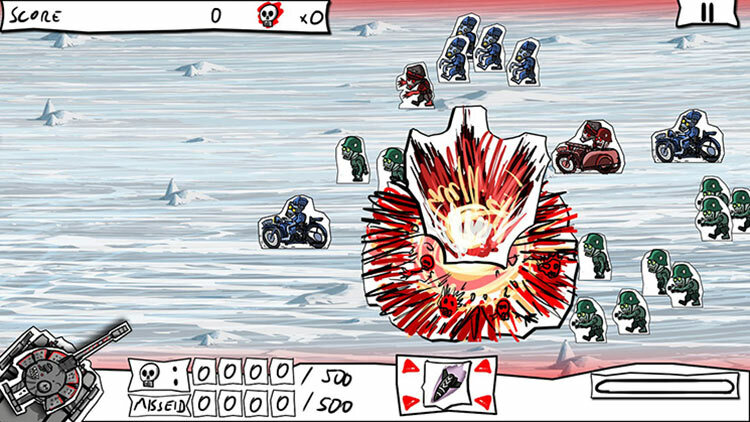 It’s a cheap, cute, tower defense game, in a fairly crowded genre. It has decent visuals that are appreciated, but outside of that, I say, throw it back in the recycling bin. 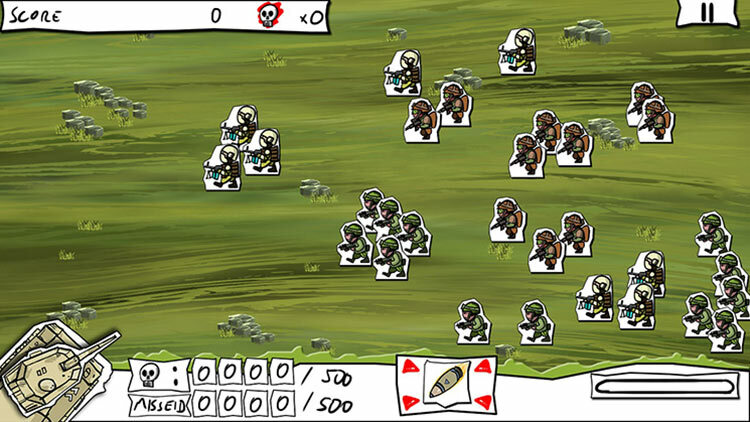 Overall, Paper Wars: Cannon Fodder is a strangely addictive experience. It’s a simple game with a few minor issues, but it’s generally fun to play. There’s not much depth to the game, but if you’re after something simple involving shooting things, this might be one to consider. 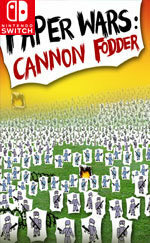 Paper Wars: Cannon Fodder Devastated is not a good game. It is not a bad game. It is a game. A harmless time-waster that will neither bring a revolution nor it will end the world by its quiet presence on the Switch eShop. It is, however, hard for us to recommend it at the current price point considering there are far more viable options content and gameplay wise for the same price. What we have here is yet another incredible kusoge whose existence made us remember not to take life too seriously. Paper Wars: Cannon Fodder Devastated apresenta-se como uma evolução da versão WiiWare, demonstrando visuais melhorados e novos modos de jogo. Infelizmente os visuais eram o menos problemático na versão original, sendo que pouco ou nada foi feito para melhorar as mecânicas de jogo para tornar esta proposta diferenciadora e desafiante.